The multi-phased implementation of ESA’s Skokie Hospital masterplan includes approximately 250,000 SF of new space and renovation of approximately 340,000 SF. 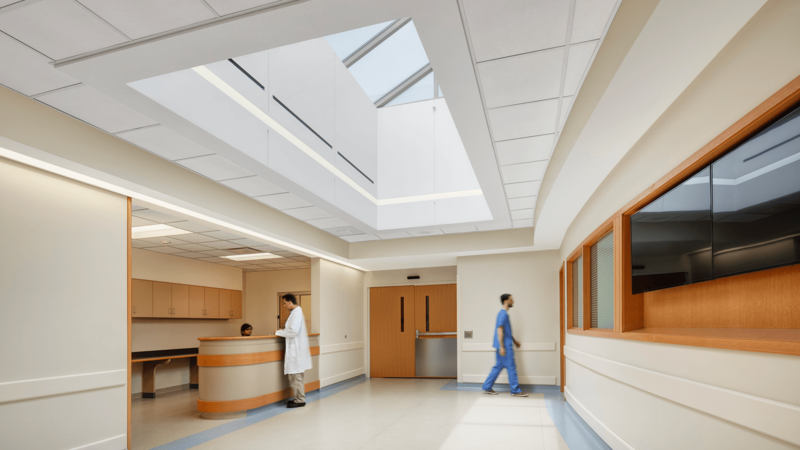 As part of the redesign and modernization of the Skokie hospital campus, the new 76,000 SF surgical pavilion offers the most sophisticated surgical and recovery environment for all patient procedures. 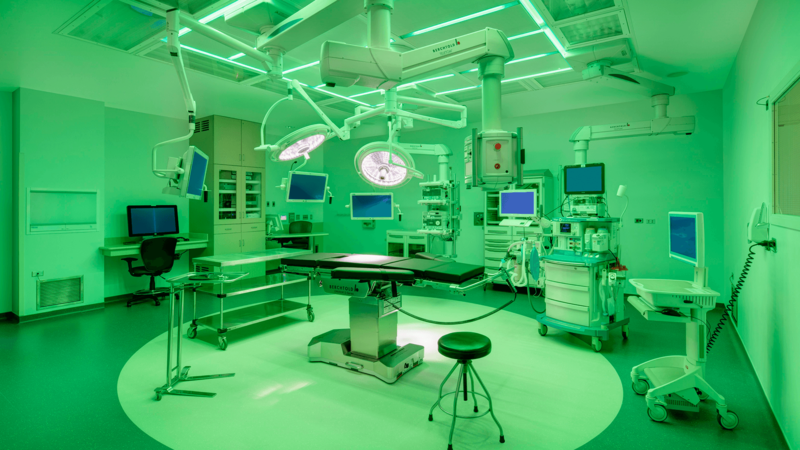 The building includes eight large operating theatres, patient recovery bays, sterile supply and surgical staff amenities. It also houses a new outpatient GI lab and a new conference center, all conveniently located near the main hospital entrance for easy public access. The pavilion is connected to the existing hospital and to the ambulatory care center across the street via a new pedestrian bridge. The architecture of precast concrete and profile metal panels unifies an otherwise disparate grouping of campus buildings. 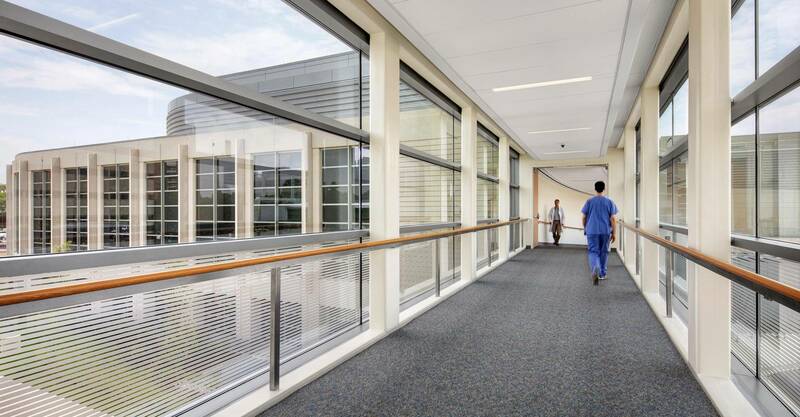 The glass enclosed bridge not only facilitates staff and patient movement but provides views and orientation, which is important in all hospital planning.